On May 12, 2017, the federal government introduced Bill C-48, the Oil Tanker Moratorium Act, for first reading in Parliament. You could say that the Act has been almost half a century in the making. So, is it a win? Keeping in mind the old adage, “don’t let the perfect be the enemy of the good,” we say yes, the Oil Tanker Moratorium Act is definitely worth supporting, and celebrating. This law cements the court victory against Enbridge Northern Gateway and the federal government’s reversal of the project approval last year. With that said, Bill C-48 could be strengthened and there are still opportunities to engage with the Bill through the Parliamentary process. The Oil Tanker Moratorium Act is intended to fulfil a commitment made during the 2015 federal election, and again in the Prime Minister’s ministerial mandate letters, to “formalize a moratorium on crude oil tanker traffic on British Columbia’s North Coast” including Hecate Strait, Dixon Entrance and Queen Charlotte Sound. This is the latest chapter in a story that dates back over 45 years to the commitment of then-Prime Minister Pierre Trudeau to prohibit oil tankers in BC’s northern waters. The commitment was never entrenched in legislation, unfortunately, allowing the former federal government to ignore it at the time the Enbridge Northern Gateway pipelines and tankers project first reared its head. The threat of oil tankers in north coast waters led to over ten years of advocacy by West Coast Environmental Law Association and numerous First Nations, northern community groups, labour organizations, environmental groups and individuals to have the north coast oil tanker ban formalized in legislation. This persistence paid off. During the past decade, no less than six private members’ oil tanker ban bills were introduced in Parliament (but never saw the light of day), one motion was passed by a majority of Parliament in 2010 urging the government to legislate a Pacific north coast oil tanker ban, and a legal north coast oil tanker ban became a platform commitment of more than one federal party. The Coastal First Nations Declaration in 2010 also prohibited oil tankers along the central and north coast as a matter of Indigenous law, a point noted by Coastal First Nations in their recent press release supporting Bill C-48. The basic components of Bill C-48 reflect what was announced by the federal government in late 2016 and addressed in detail by West Coast Environmental Law Association in our January 2017 publication, Will the Pacific North Coast Oil Tanker Ban Hold Water? The legislation would prevent any vessel that is constructed or adapted to carry oil in bulk from mooring, loading or unloading at any port or marine installation in BC north of the northern tip of Vancouver Island, if it were carrying (or, as a result of loading, would carry) more than 12,500 tonnes of crude oil or persistent oil, or any combination of the two. As discussed in Will the Pacific North Coast Tanker Ban Hold Water, the 12,500-tonne threshold appears to be low enough to prohibit a standard oil tanker from shipping anything close to its full capacity. Bill C-48 includes related provisions that prohibit any person or vessel from transporting oil to or from such an oil tanker that is not moored at a port or marine installation. This effectively closes any loophole that would allow persons to “ferry” oil to or from an oil tanker to circumvent the prohibitions in the Bill. The Bill would also enact a series of welcome provisions related to reporting, monitoring and enforcement aimed at ensuring the prohibition is respected. The ban applies to “crude oil” defined broadly using language in international law. Notably, this definition of crude oil is hardwired into the Act, meaning its broad scope could not be subsequently changed or narrowed except by amending the Act in Parliament. In addition, the Bill applies to a range of products defined as “persistent oil,” which pose similar risks to crude oil products. In effect, this broadens the scope of the oil tanker ban to include a limited subset of refined oils such as certain fuel oils and synthetic crude oils, (while other refined oils such as gasoline and propane are not covered by the ban). It also includes bitumen that has been partially upgraded. Unlike the crude oil prohibition, which is hardwired into the Bill, the list of persistent oil covered by the ban is included in a Schedule that can be changed by regulation to add or remove products over time. The legislation does not have an expiry date, which means that it will be in effect indefinitely unless amended by Parliament (subject to the exemption provision discussed below). This is a cause for celebration. Here’s a recap of the key types of oil shipments that the legislated ban would not cover, which we wrote about in Will the Pacific North Coast Oil Tanker Ban Hold Water? The 12,500-tonne threshold at which the prohibition “kicks in” is designed to be high enough to allow all existing vessel traffic to continue. Sensibly, this would exclude smaller community supply shipments from the ban. However, it would also allow existing bulk petroleum tank barge traffic to continue, such as the (fortunately empty) barge pushed by the Nathan E. Stewart tug that sank in October 2016. Bill C-48 would not apply to the bulk transport of refined oil products such as gasoline, jet fuel and propane because those products are not included in the Schedule. With regard to the effect of the 12,500-tonne threshold, West Coast continues to recommend that Transport Canada publicly release its information on past and current oil shipments in the region, as well as provide a rationale for the 12,500-tonne threshold including the types of vessels or shipments that this will include and exclude. The Oil Tanker Moratorium Act also includes a troubling new provision. Section 6(1) of Bill C-48 allows the Minister, by order, to exempt identified oil tankers from the ban on any terms and for any period of time. Moreover, section 6(2) says that the Statutory Instruments Act does not apply to such exemption orders, which removes requirements that such exemption orders be published and made easily available for public inspection. This provision, if used to its full extent, could allow wide-scale and long-term exemptions from the oil tanker ban to be ordered behind closed doors without opportunity for public review and input, effectively gutting the purpose of the Oil Tanker Moratorium Act. The need for this provision is unclear given that Bill C-48 already includes sensible exemptions from the oil tanker ban for vessels in various forms of distress (e.g. to ensure the safety of the vessel, for medical emergencies, or to render assistance to another vessel in distress), as well as vessels under the control of the Minister of National Defence. It is even more puzzling that the government has proposed excluding such exemption orders from the application of the Statutory Instruments Act, which effectively makes them less public. Fortunately, there are still opportunities to address this concerning provision during detailed Parliamentary review of Bill C-48. While its meeting schedule has yet to be set, Bill C-48 will be studied by the House of Commons Standing Committee on Transport, Infrastructure and Communities before it is introduced for second reading in Parliament. West Coast Environmental Law Association’s submissions will certainly argue that the provision allowing exemption orders should be removed from Bill C-48, or at the very least circumscribed, for example through time limits, public notice requirements and opportunities for public comment. Comments from individuals or organizations may be submitted to the Committee, or directly to a Member of Parliament. While it’s not perfect (and what law is? ), the Oil Tanker Moratorium Act stands to be a major win from a big-picture perspective. The now-rejected Enbridge Northern Gateway project raised the most realistic threat of crude oil supertankers on BC’s north coast, but it is neither the first nor the last of such proposals. Despite my familiarity with this history of determined opposition to tanker traffic, I have been surprised to find it so universal. In my preliminary meetings throughout the province and in the formal and community hearings of the Inquiry held to date, the oil port proposals have inspired few advocates other than the proponent companies themselves. 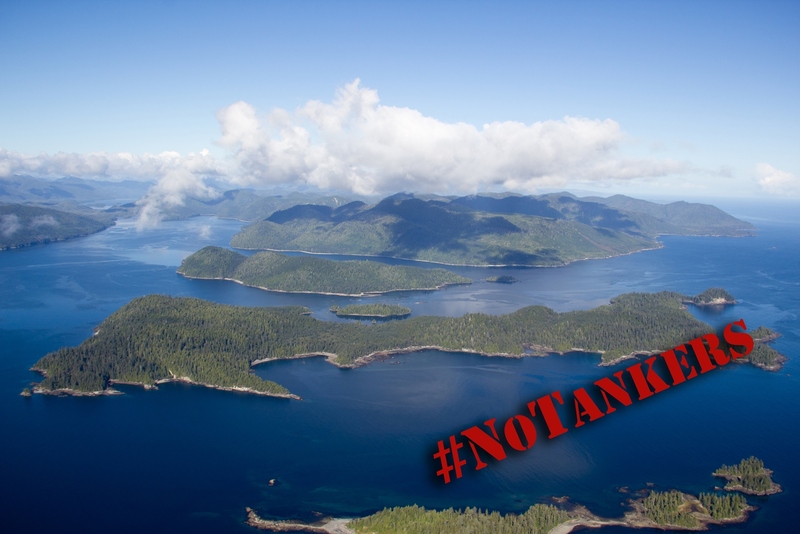 This prolonged and widespread opposition to oil tankers on BC’s north coast deserves to be entrenched in a legal prohibition, so that the same fight is not repeated over and over again. The Oil Tanker Moratorium Act is strong enough to create a “new normal” for BC’s north coast where the largest and most realistic threats of oil tanker megaprojects are legally taken off the table. Oil industry proponents know this, which is why they are loudly arguing that the Oil Tanker Moratorium Act goes too far or should be scrapped altogether. As Bill C-48 winds its way through the Parliamentary process, industry forces will continue to urge the federal government to water down or simply break its promise to enact an oil tanker ban. To counteract these forces, the federal government needs to continue to hear from the public – through written comments to Members of Parliament or the Transport Committee – that BC’s north coast is no place for oil tankers. The Oil Tanker Moratorium Act is worth supporting and strengthening to ensure that the next generation doesn’t have to face another Northern Gateway on BC’s north coast.